Looking for National Gun Rights Organizations? You Have Options. A while back, a member of the GunLink Forums posted a message asking about pro-gun organizations that might not be quite as well known as others. There are a number of national gun rights organizations which, for various reasons, some gun owners feel contempt for. Whether it is because they feel that these organizations have made too many compromises with anti-gun politicians, don’t get enough done, send too much junk mail, ask for too much money or for other reasons, these gun owners are left with a bad taste in their mouth and a feeling that they don’t have anyone on their side who can get anything done for gun rights. There is hope, however. There are numerous national organizations fighting for our second amendment rights and many, many smaller regional or local organizations fighting on a grassroots level. No matter what your personal feelings are about a particular organization, there is almost certainly one out there with which you can align yourself. Throwing your hands up in frustration and walking away from the fight is exactly what anti-gunners want you to do and it will allow our rights to be trampled on even more than they already have been. AFA has taken a NO-COMPROMISE position by calling for the repeal of ALL gun laws back to and including the National Firearms Act of 1934. AFA is serious about restoring our Rights as originally intended by our Founding Documents. If you’re looking for a women’s organization to exchange cooking recipes, talk about child rearing or stitchery, then this is not the place for you. The Citizens Committee for the Right to Keep and Bear Arms is dedicated to protecting your firearms rights. Our role is to educate grass root activists, the public, legislators and the media. Our programs are designed to help all Americans understand the importance of the Second Amendment and its role in keeping Americans free. Gun Owners of America (GOA) is a non-profit lobbying organization formed in 1975 to preserve and defend the Second Amendment rights of gun owners. GOA sees firearms ownership as a freedom issue. Associated with GOA are: Gun Owners of America Political Victory Fund, Gun Owners of California and Gun Owners Foundation. Jews For The Preservation Of Firearms Ownership’s mission is to destroy “gun control” and to encourage Americans to understand and defend all of the Bill of Rights for everyone. Those are the twin goals of Wisconsin-based Jews for the Preservation of Firearms Ownership (JPFO). 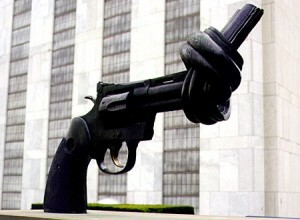 Founded by Jews and initially aimed at educating the Jewish community about the historical evils that Jews have suffered when they have been disarmed, JPFO has always welcomed persons of all religious beliefs who share a common goal of opposing and reversing victim disarmament policies while advancing liberty for all. Connect with JPFO members in your area on the JPFO States Corner. Headed by Dudley Brown, a long-time gun rights advocate and director of Rocky Mountain Gun Owners, the National Association for Gun Rights was formed in 2001 as a grassroots, member-centric organization with a no-compromise approach to gun rights issues. The National Association for Gun Rights membership represents over 1 million grassroots, gun rights activists across the United States. National Association for Gun Rights has been actively engaged in federal lobbying efforts to protect the rights of gun owners. The National Shooting Sports Foundation is the trade association for the firearms industry. Its mission is to promote, protect and preserve hunting and the shooting sports. Formed in 1961, NSSF has a membership of more than 7,000 manufacturers, distributors, firearms retailers, shooting ranges, sportsmen’s organizations and publishers. The National Rifle Association is America’s foremost defender of Second Amendment rights. Since its inception in 1871, it has also been the premier firearms education organization in the world. Purposes and objectives of the NRA include protecting the right to keep and bear arms, furthering the shooting sports, marksmanship and safety training, and the promotion of hunter safety. The Institute for Legislative Action (ILA) is the lobbying arm of the NRA. Established in 1975, ILA is committed to preserving the right of all law-abiding individuals to purchase, possess and use firearms for legitimate purposes as guaranteed by the Second Amendment to the U.S. Constitution. While NRA is a single-issue organization, ILA is involved in any issue that directly or indirectly affects firearms ownership and use. The NRA Political Victory Fund (NRA-PVF) is NRA’s political action committee. The NRA-PVF ranks political candidates – irrespective of party affiliation – based on voting records, public statements and their responses to an NRA-PVF questionnaire. The Second Amendment Foundation (SAF) is dedicated to promoting a better understanding about our Constitutional heritage to privately own and possess firearms. To that end, we carry on many educational and legal action programs designed to better inform the public about the gun control debate. Students for Concealed Carry is a national, non-partisan, grassroots organization composed of more than 43,000 college students, professors, college employees, parents of college students, and concerned citizens who believe that holders of state-issued concealed handgun licenses should be allowed the same measure of personal protection on college campuses that current laws afford them virtually everywhere else. SCC has members in all fifty states and the District of Columbia. Know of a gun-rights organization that isn’t listed here? Share your national, regional or local pro-second amendment groups in the comment section below or on the forums in the Pro-Gun Organizations thread. 4 Responses to Looking for National Gun Rights Organizations? You Have Options. Well said. Gun owners to get involved with these groups, not walk away frustrated. Get involved in whatever group/groups you like, but DO something.